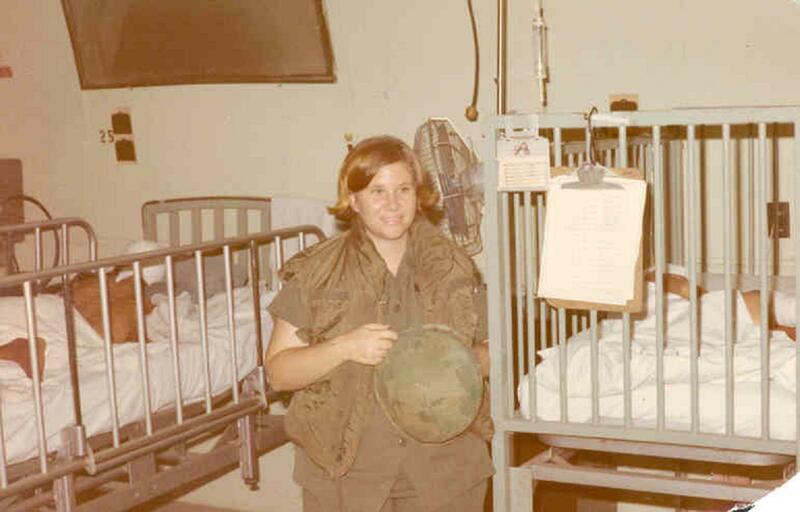 1LT Nickey McCasland leaving the BOQ villa for night shift duty in the 3rd Field SICU. 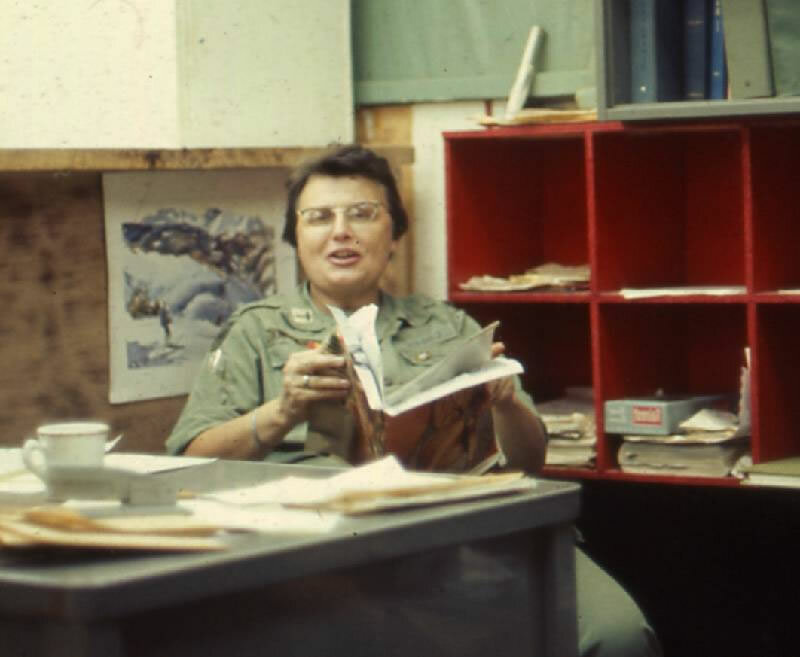 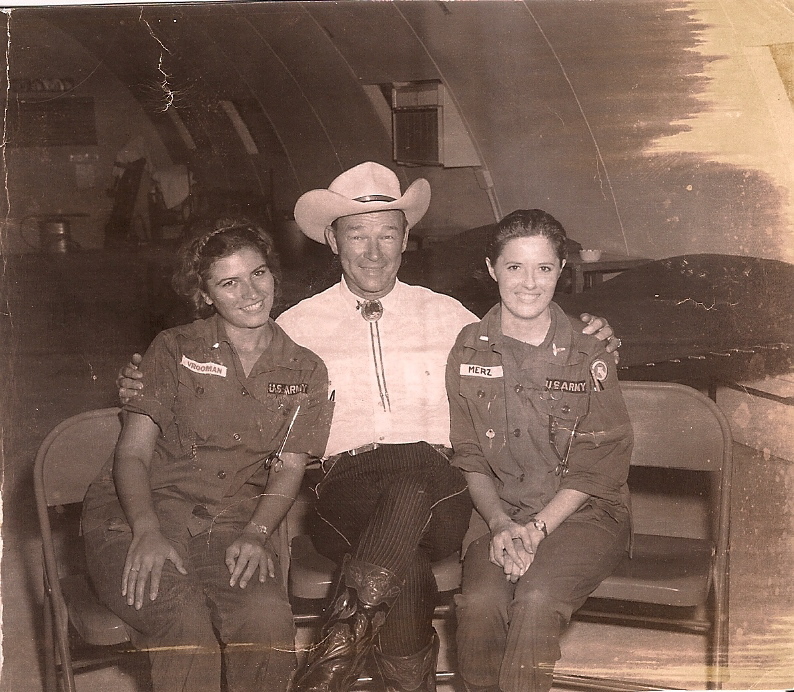 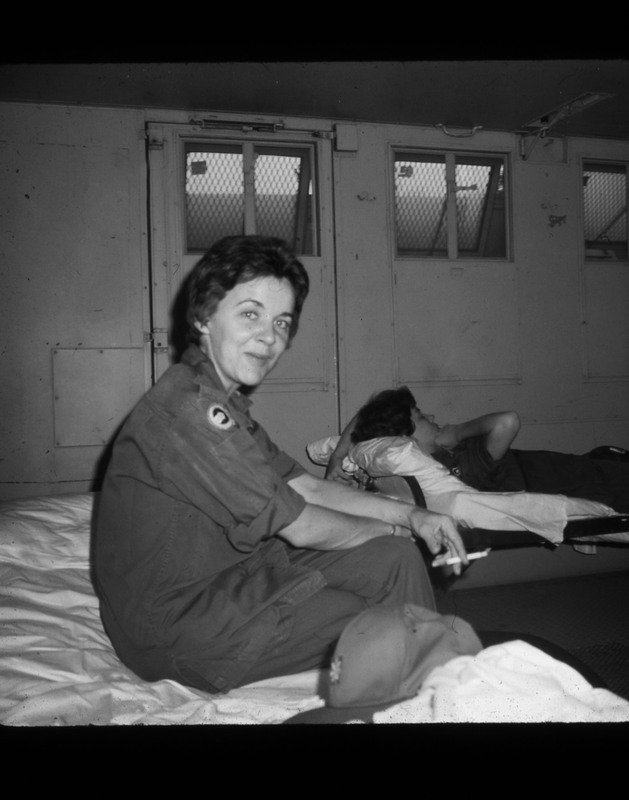 CPT Rhona Knox above base camp Radcliffe, 616 Med Clearing Co.
Joe Querciagrossa outside the male nurses’ tent at the 67th Evac, 1966. 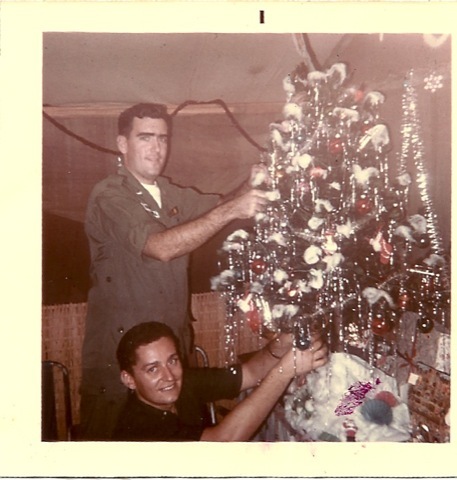 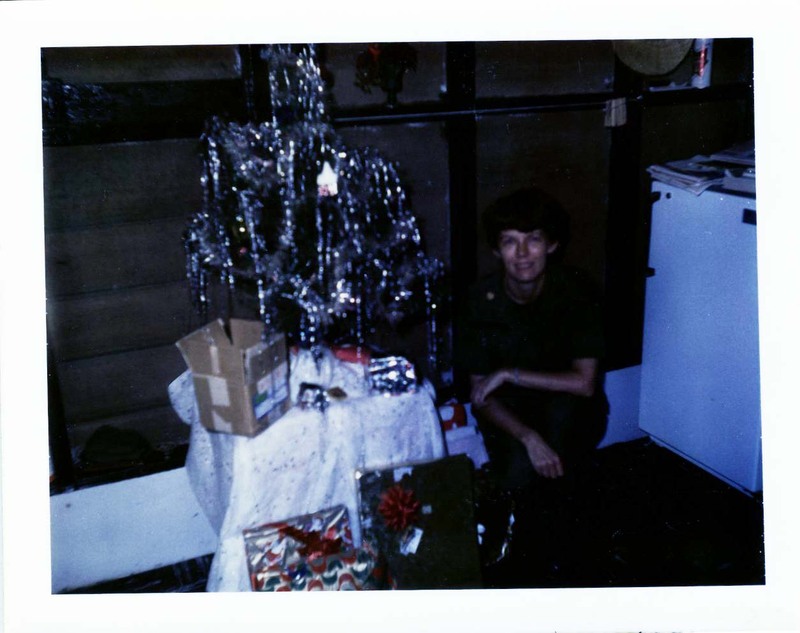 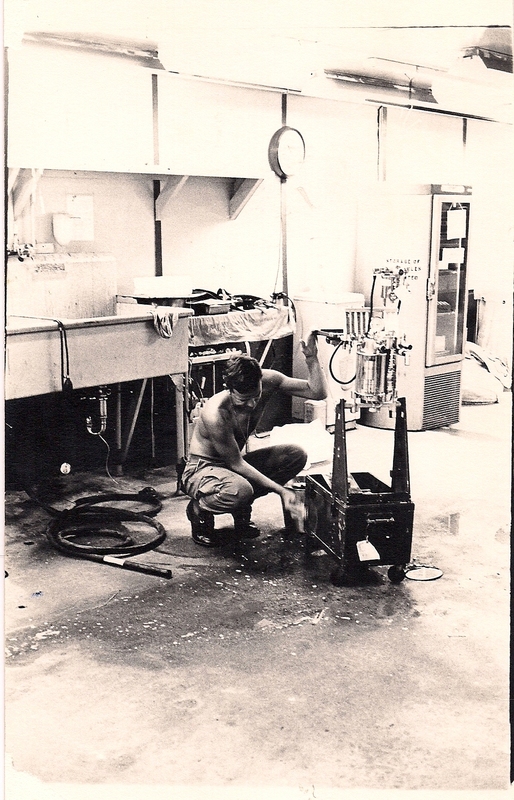 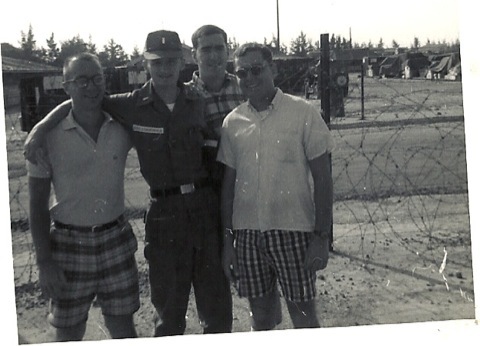 Dennis O'Donnell and Joe Querciagrossa getting ready for Christmas 1966 at the 67th Evac. 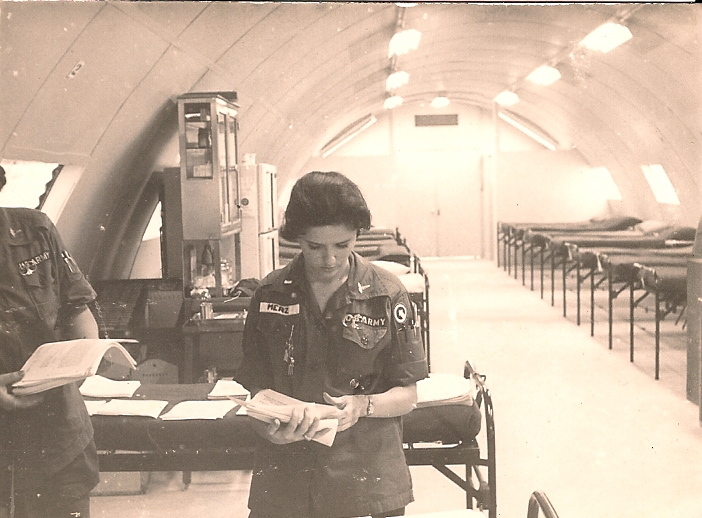 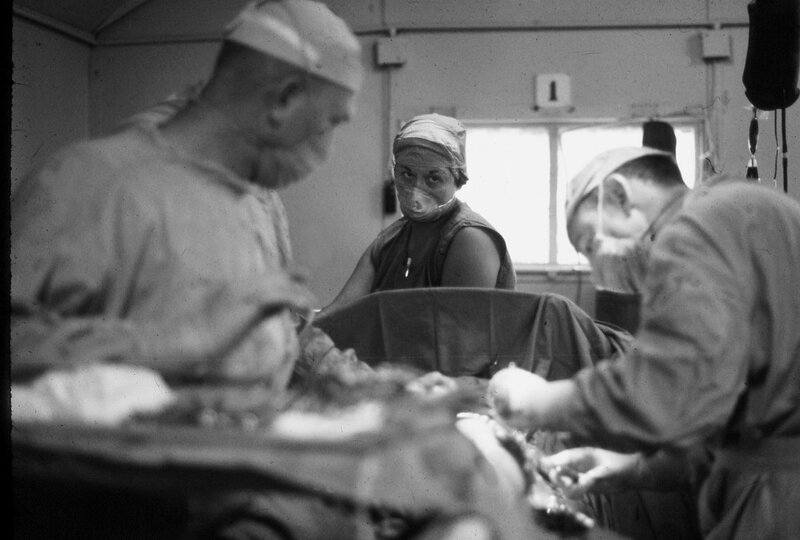 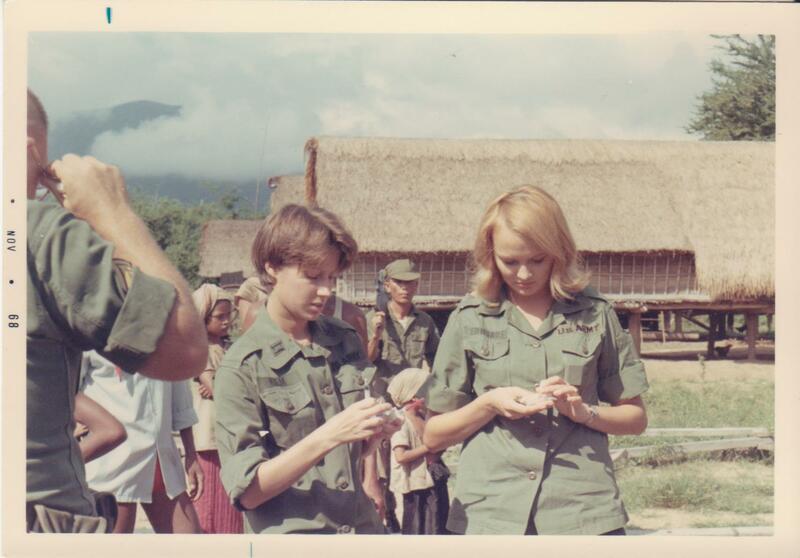 Amy Merz Johnston, setting up the receiving ward at the 67th Evac Qui Nhon 1966. 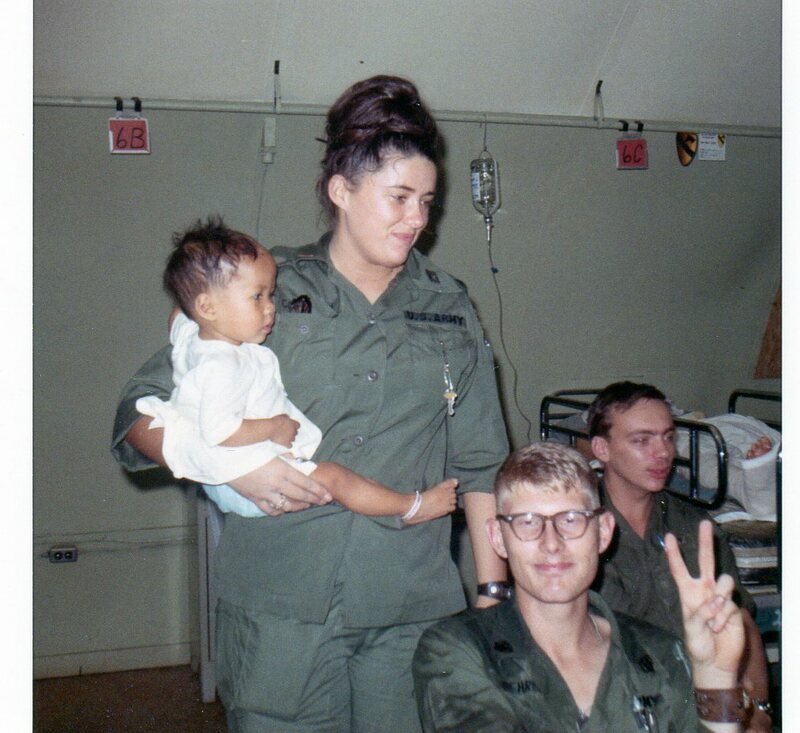 Carol Yauk Compton with patients on ward at 67th Evac, Qui Nhon, 1967. 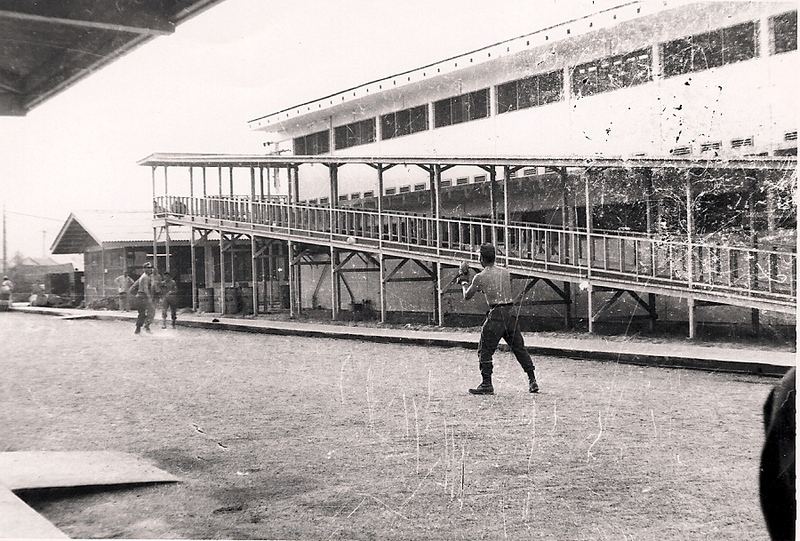 67th Evac Staff taking a little break playing catch. 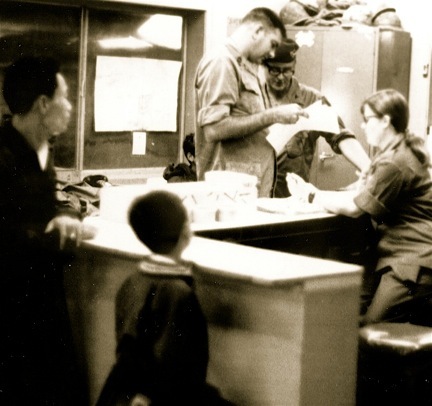 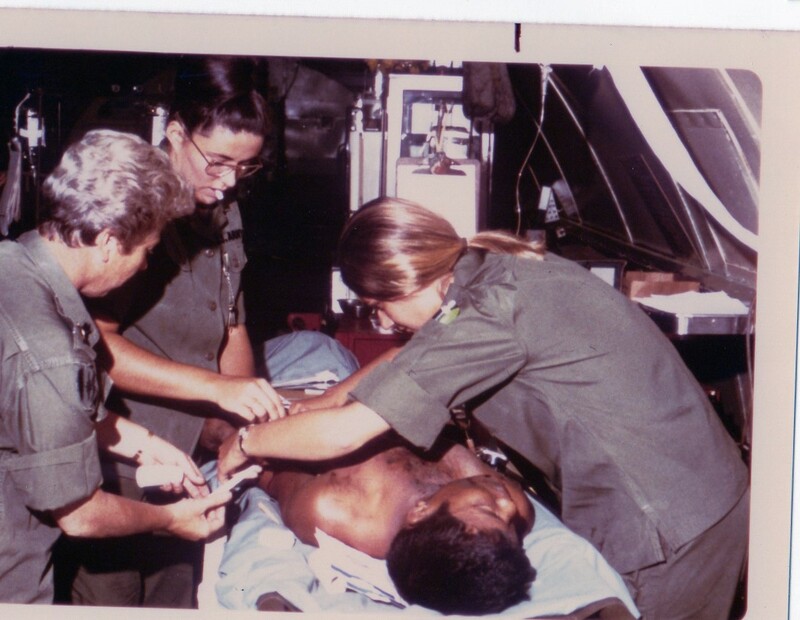 Lt. Sharon Grant behind the counter in ER, with Special Forces and Vietnamese civilians, 71st Evac, Pleiku, 1970. 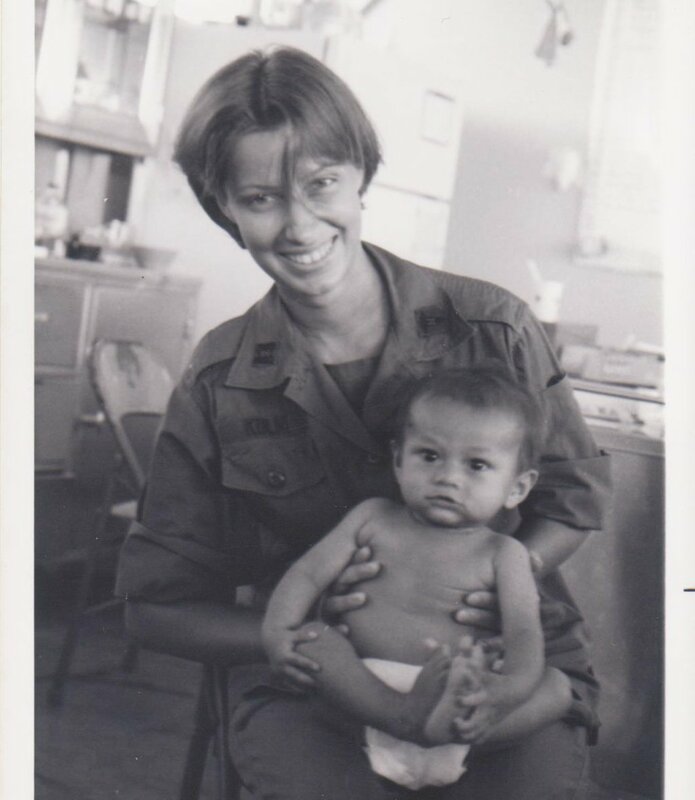 CPT Peggy Kulm with smiling baby 91st Evac, Tuy Hoa, 1969. 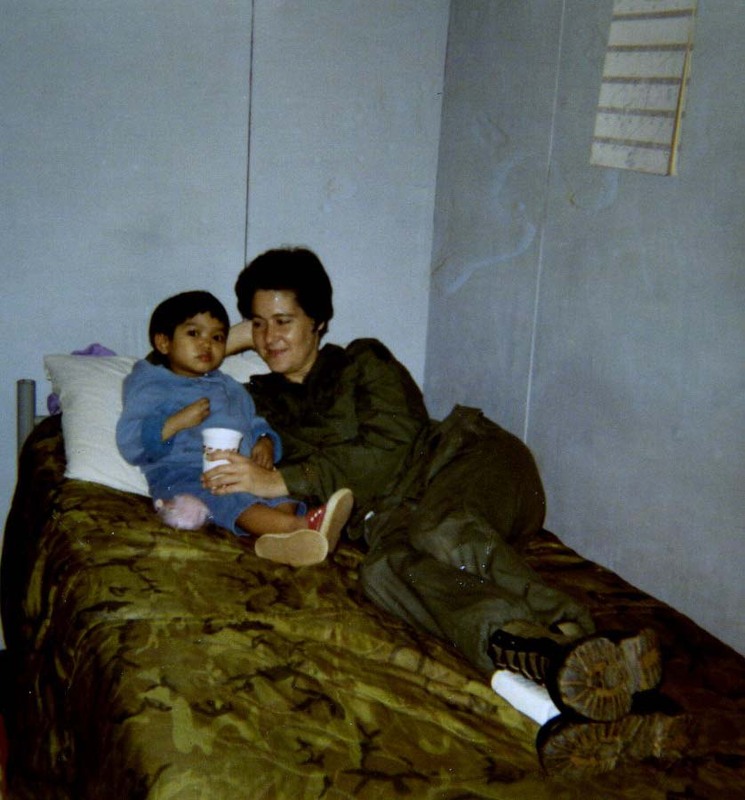 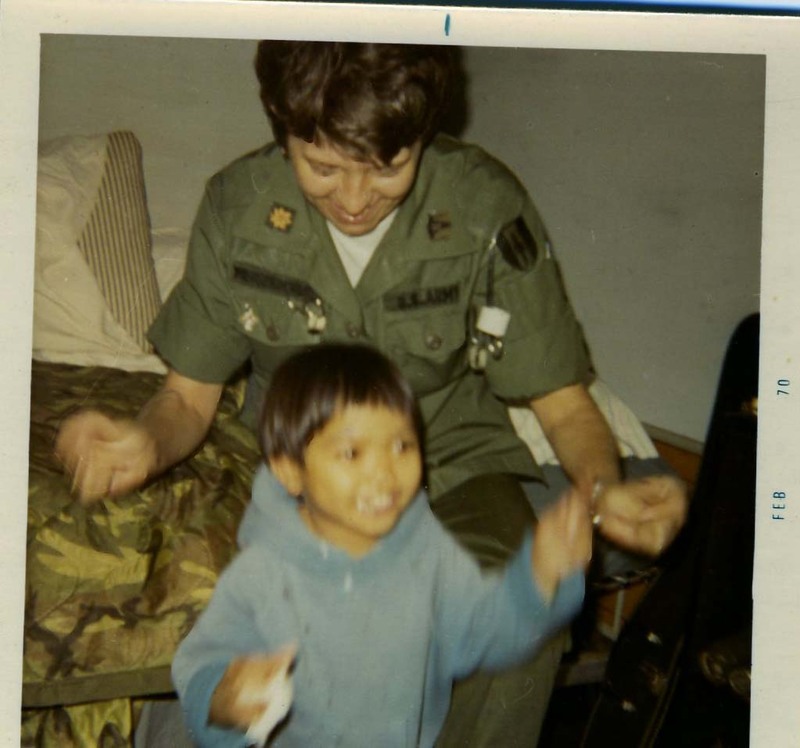 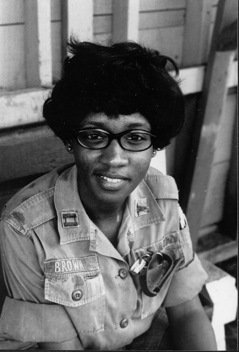 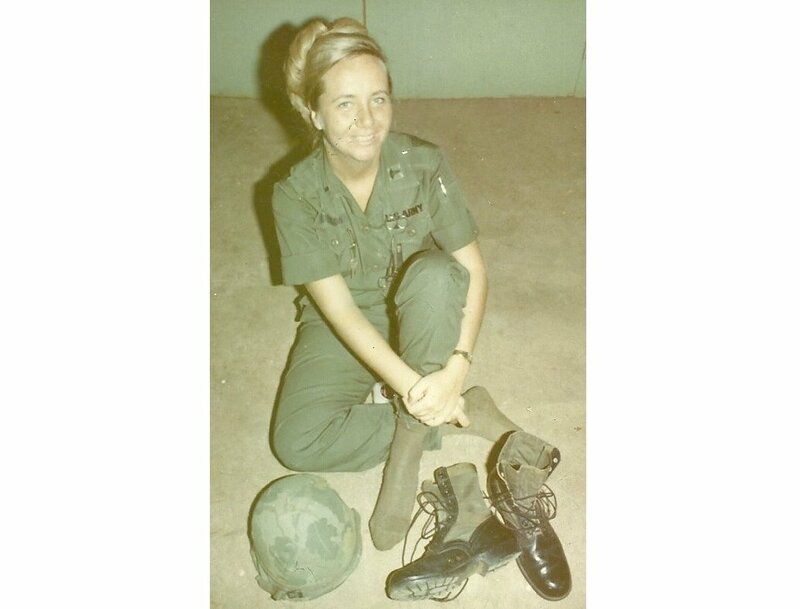 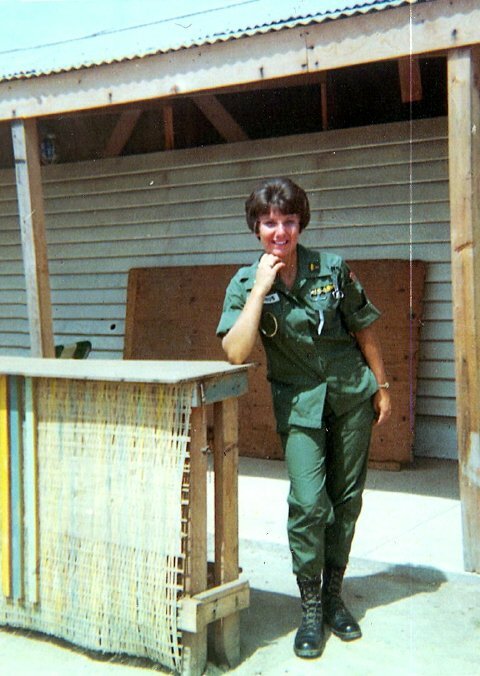 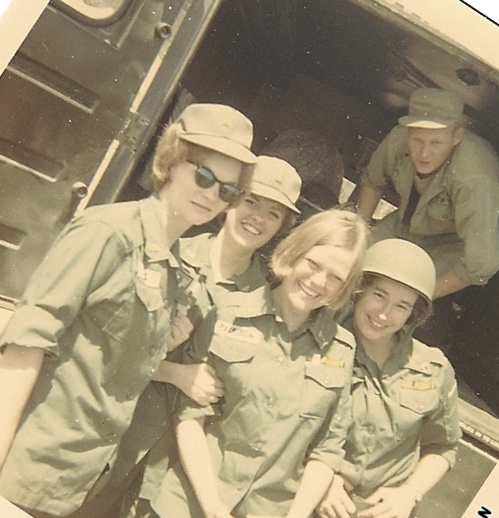 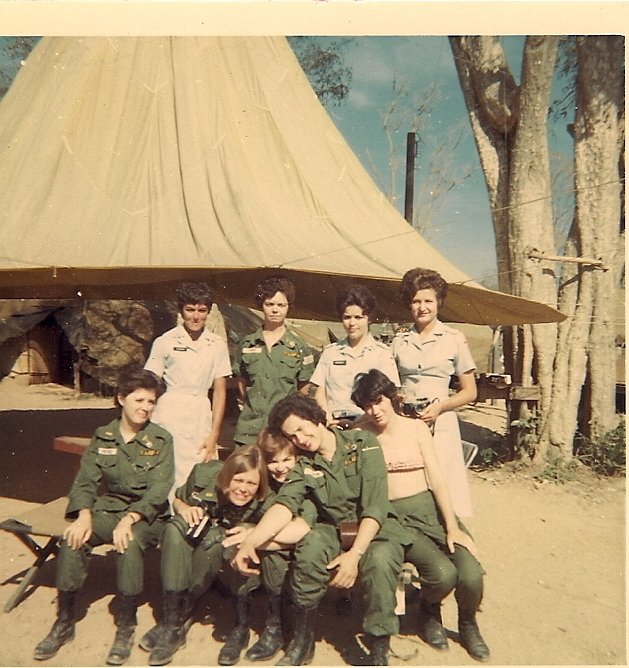 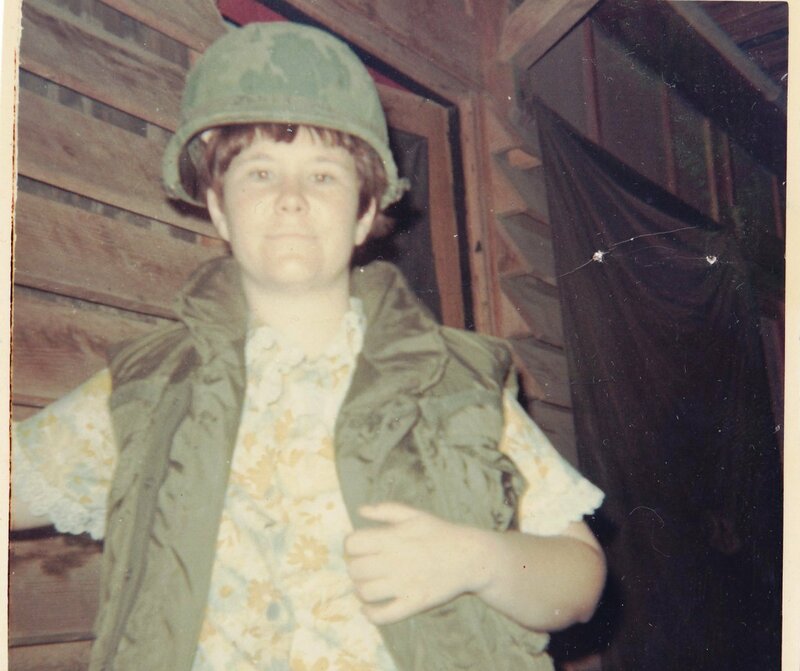 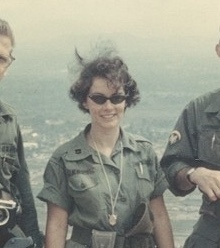 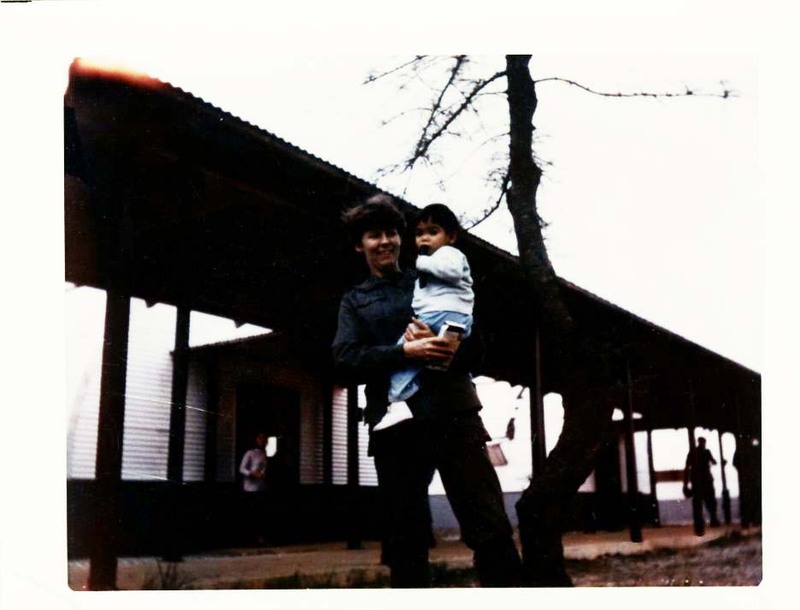 She was head nurse of the only pediatric civilian war casualty unit in Vietnam. 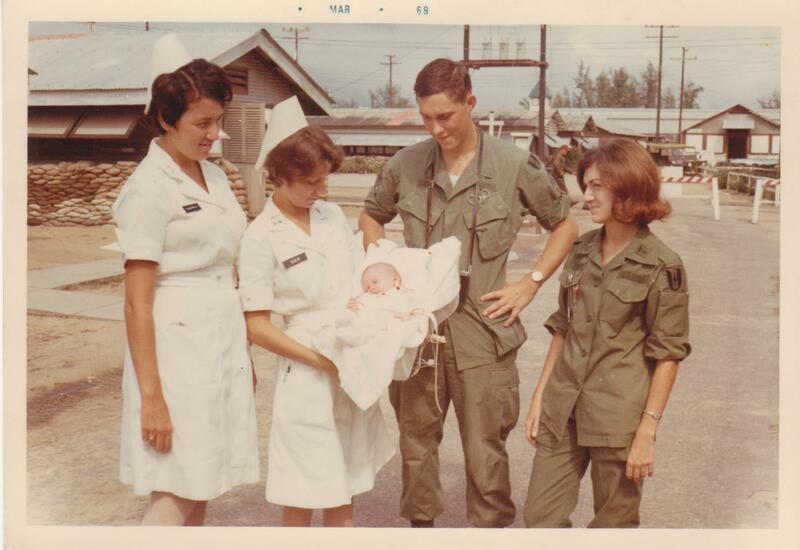 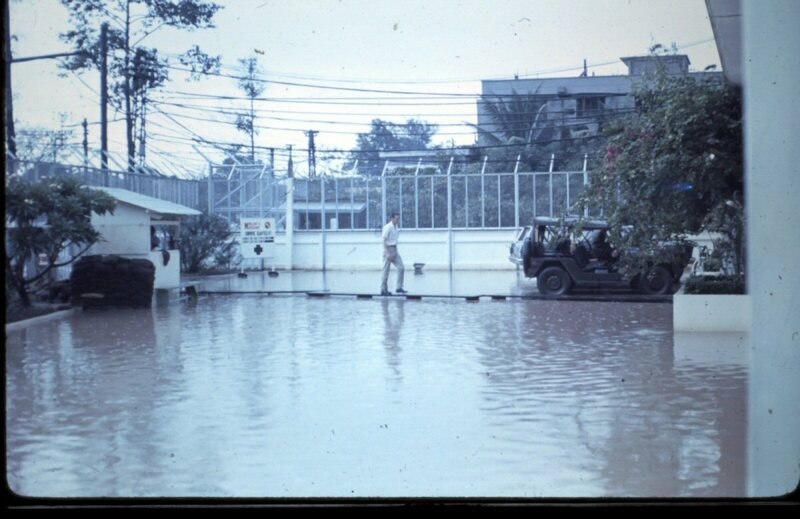 95th Evac next to a crib; the hospital had 4 cribs. 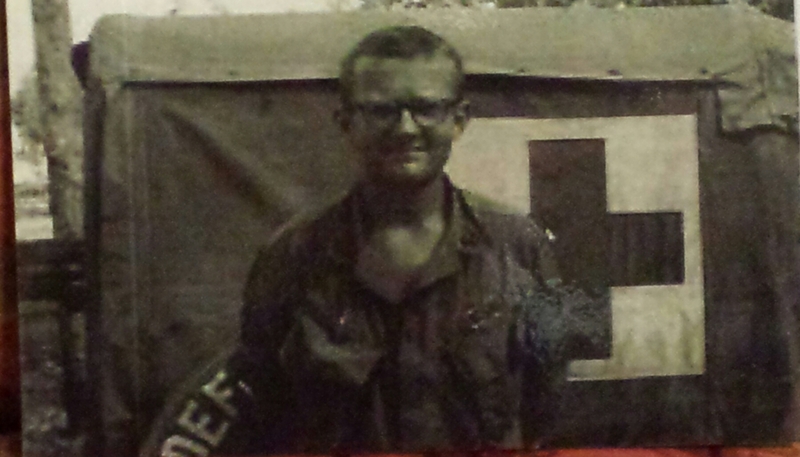 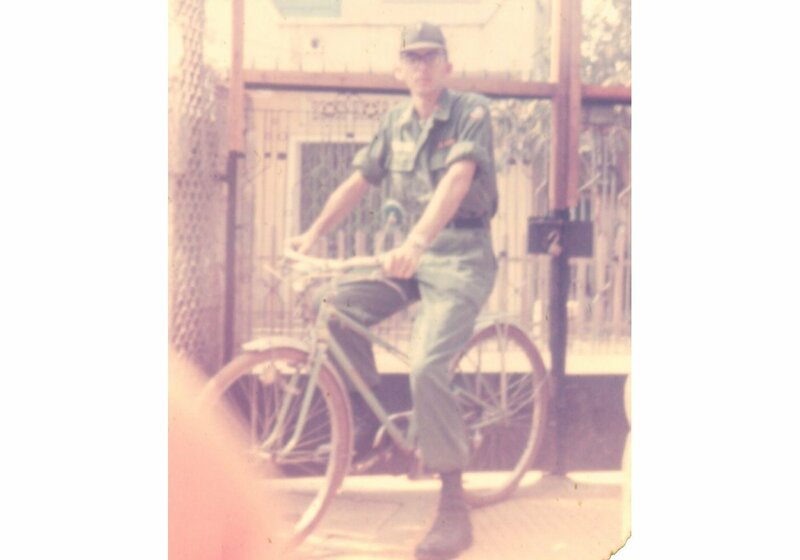 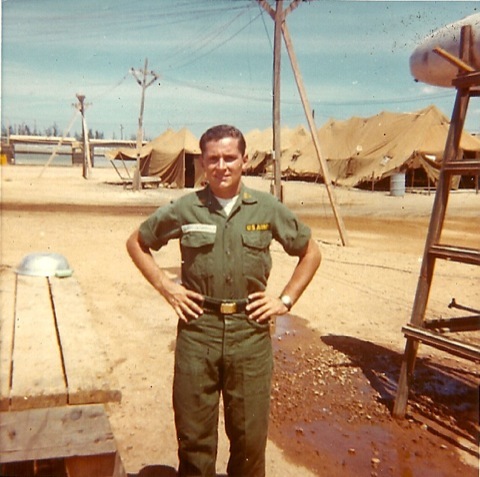 Sp5 Medic Bob Barnwell 1968-1969; later selected for WRAIN and became an AN. 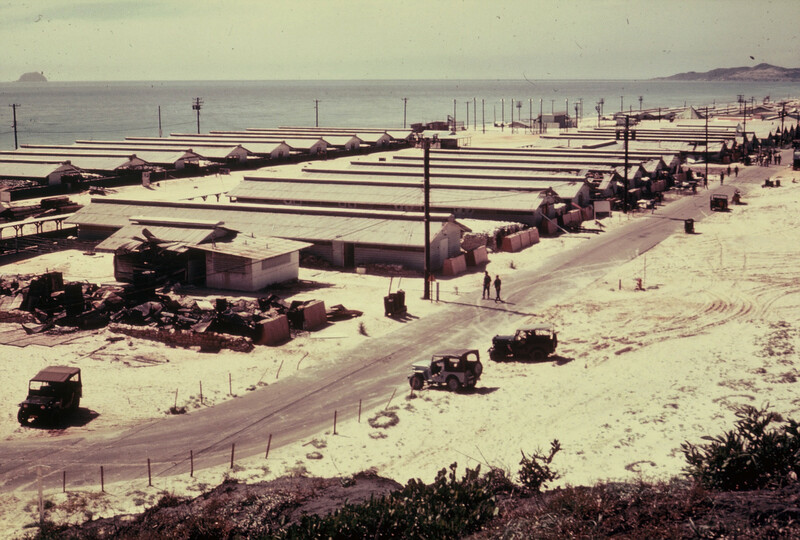 One of the places military would go to relax. 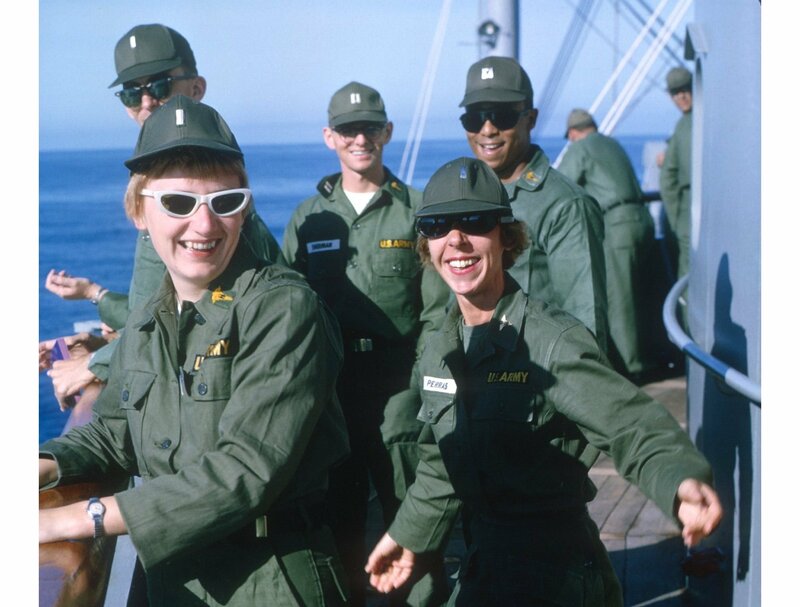 The USO brings Nancy Sinatra and her troupe to Vietnam in 1967. 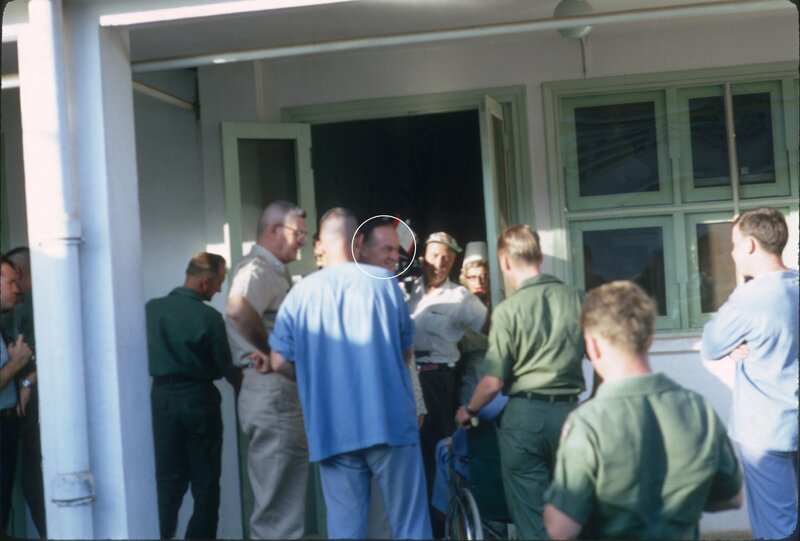 Bob Hope pays a visit to the 3rd Field in 1967. 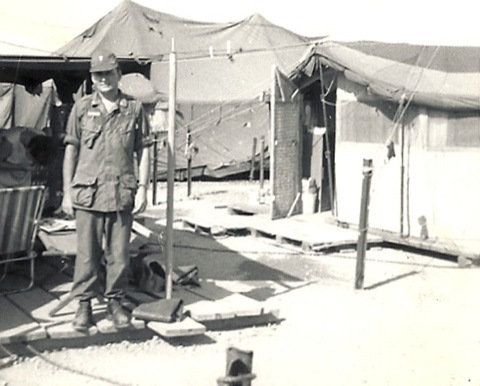 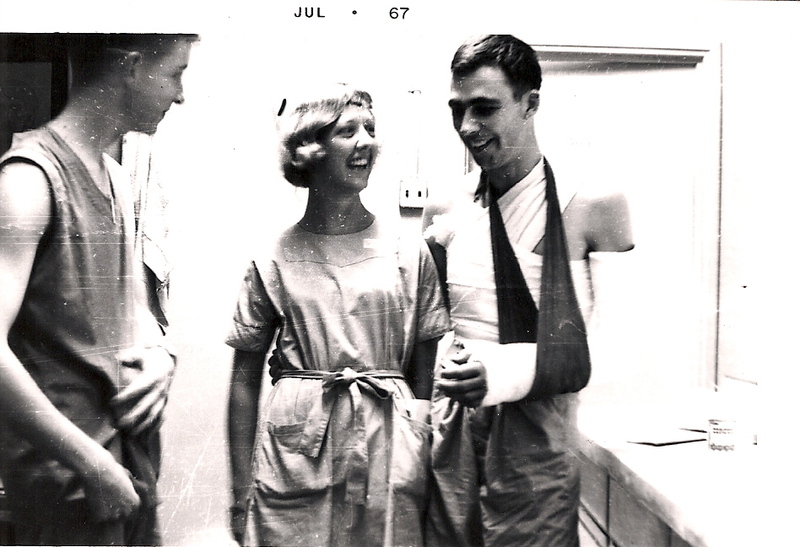 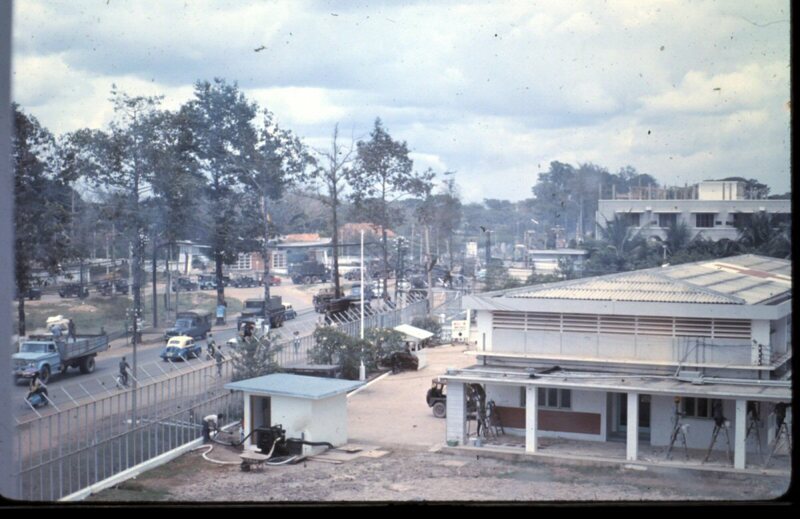 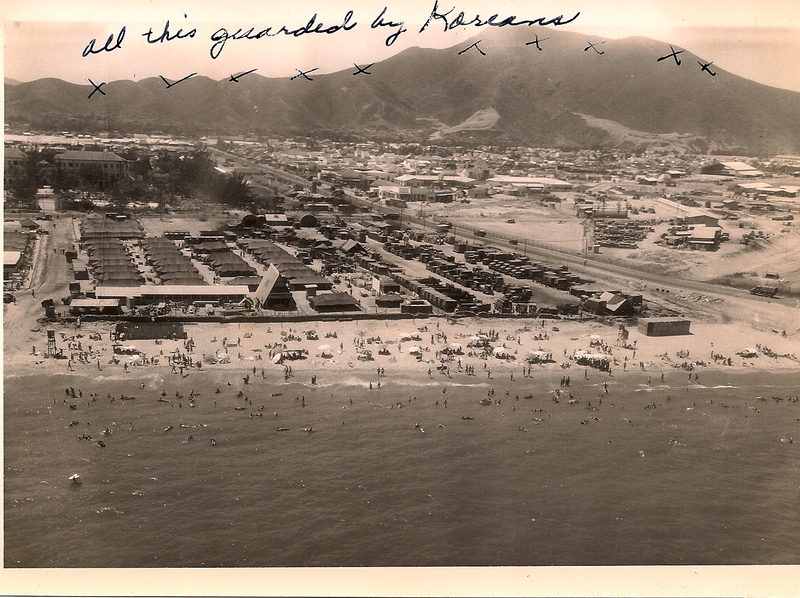 The 6th Convalescent Center was hit by a sapper attack in August 1969. 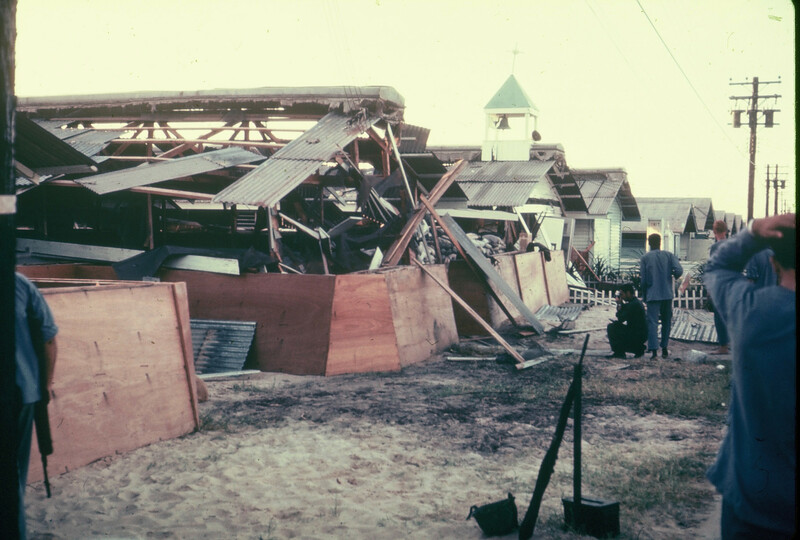 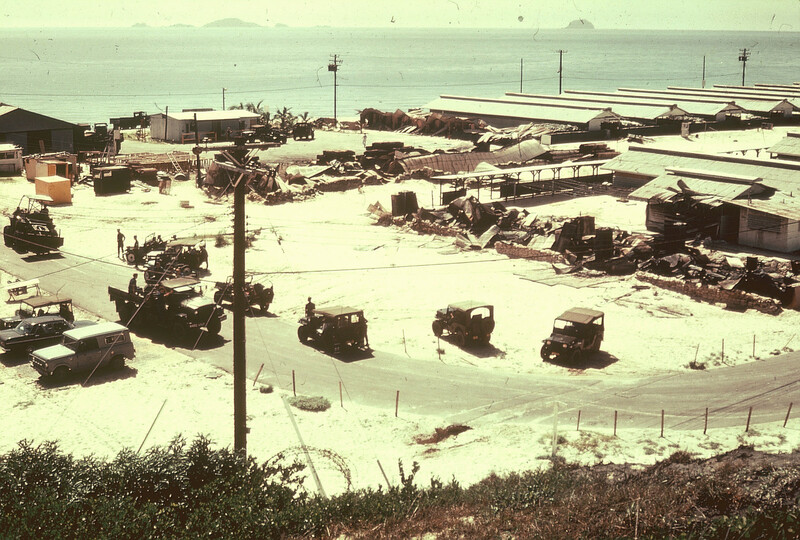 Structures throughout the compound were damaged by explosives thrown by the invaders. 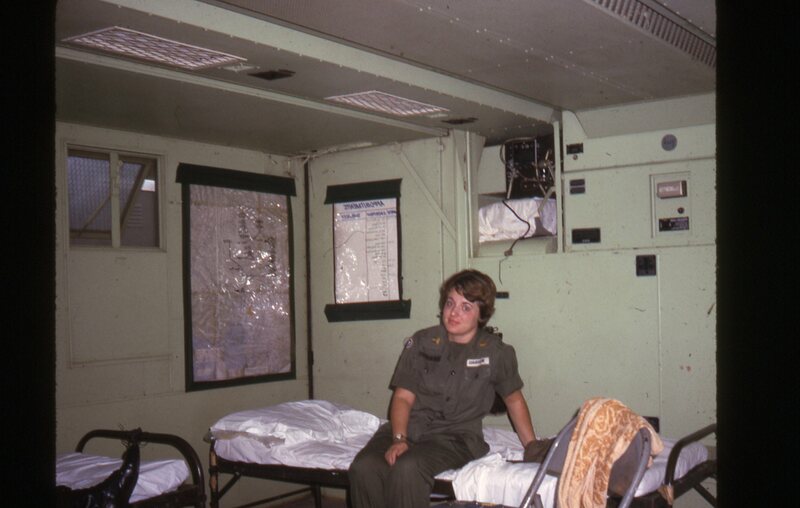 Patient wards were damaged by the explosive charges. 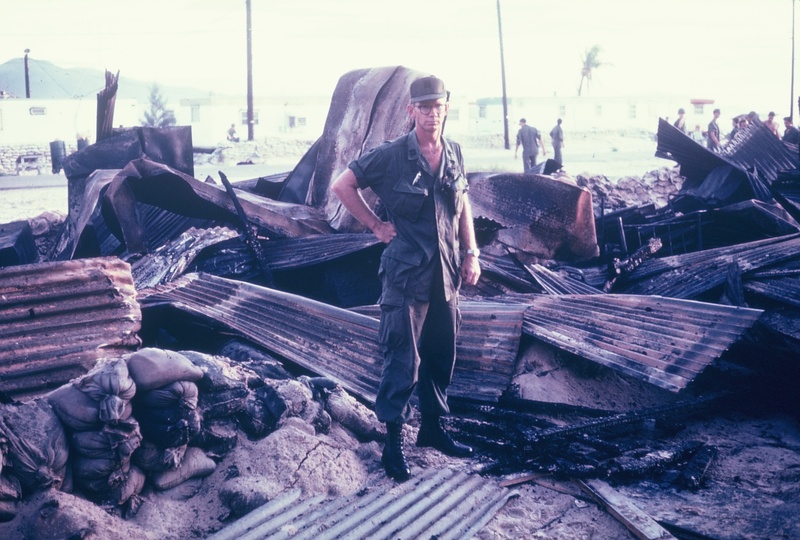 An officer stands in the remains of his destroyed 6th Convalescent Center quarters. 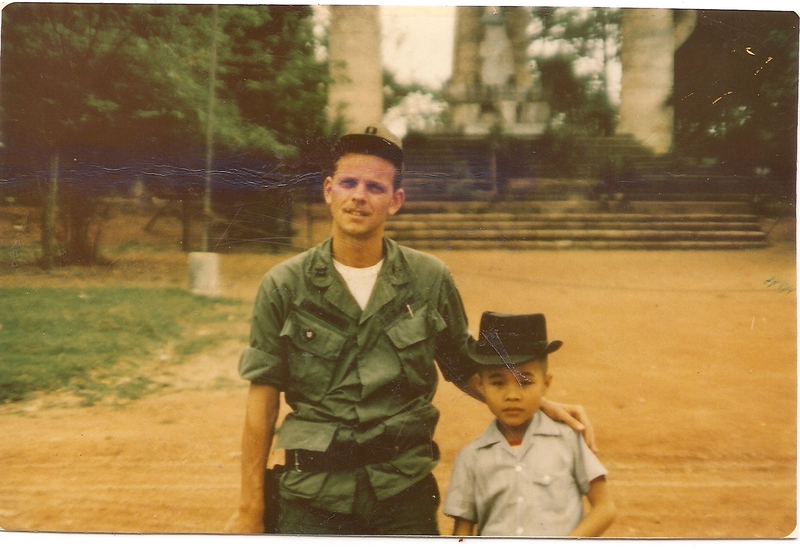 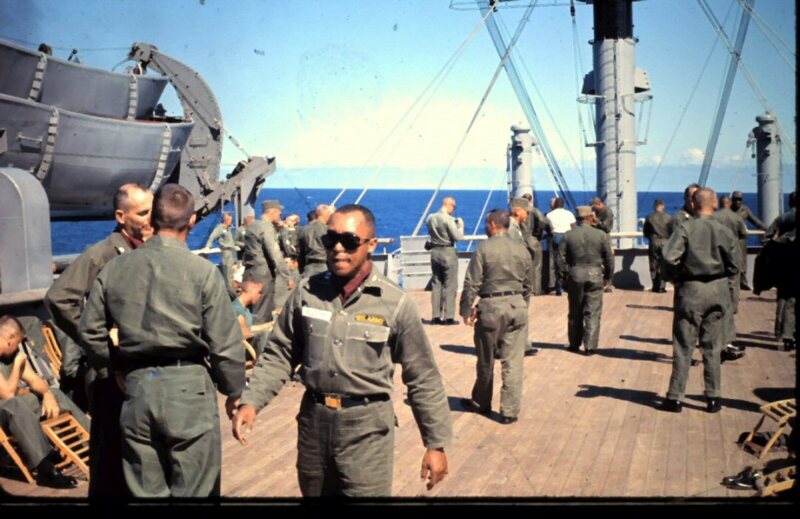 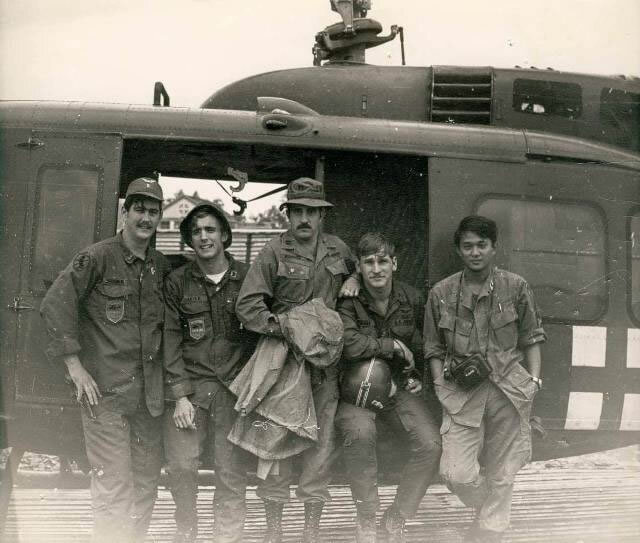 Over 350 ANCA members are veterans of service in Vietnam during the war. 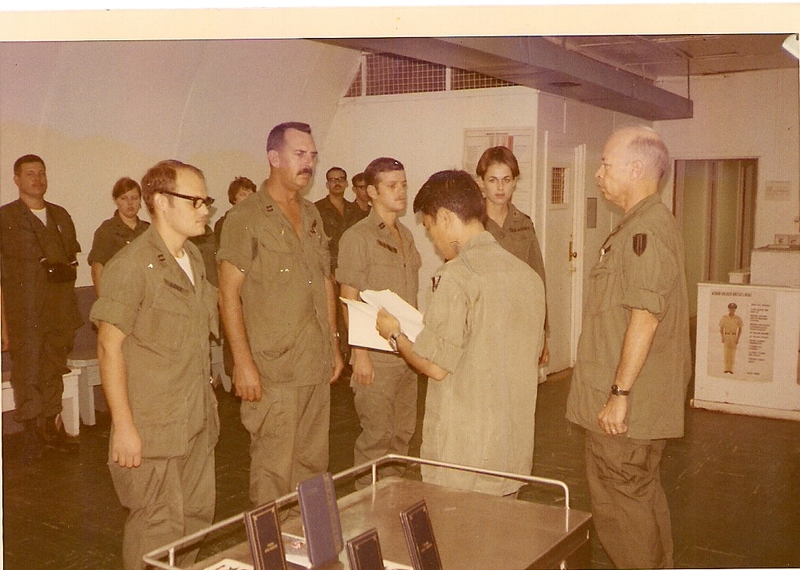 These are some of their photos of the experience.